Should items of Interactive map of regions also be a navigation item? I am working on a new (version) of a web app that's basically an interactive map of regions. And here's the thing. Should the (list of) regions be included in the main navigation or not (like on the screenshot)? 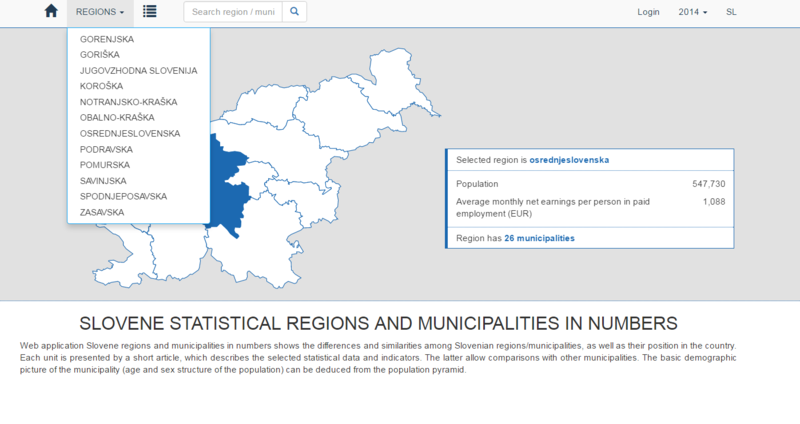 Currently, when a user selects a region, either by clicking the link in the info box or by using navigation, he gets transferred to a page with a more extensive info about the specific region and its municipalities. But I suppose, if there's no menu, we still need to add a sub menu or a list of regions to that informational page, so the user can select a region from a list without going back to the interactive map, correct? What is the popular interactive design routine? Should drag interaction start on mouse over or on click? How to implement Ecommerce Catalogue/books in mobile apps?